Beautiful newer home with a huge fenced yard & spectacular hardscape. 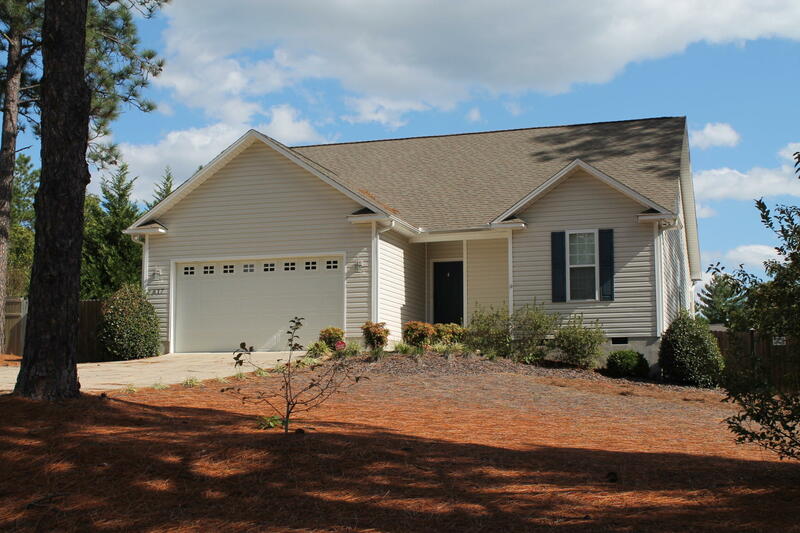 Convenient to Ft Bragg, Pinehurst & Southern Pines! Desirable split bedroom floor-plan w/Hardwood floors through Living Rm, Dining Rm, Kitchen & Halls. Living Rm has a vaulted ceiling & a central fireplace. The Dining Rm & Kitchen overlook the fenced yard, the rear deck, and the massive paved patio with its Fire-Pit and built in seating! 24' RV or boat parking pad! The Kitchen features cherry cabinetry & a full suite of stainless Whirlpool appliances. The Master Suite has His & Hers walk in closets and an over-sized tiled shower. Guest Bedrooms have 9' ceilings, generous closet space and a full tiled bath of their own. This home has been well-maintained and It is move-in READY!